Airlangga University Surabaya with Gala Indian Music and Dance performances on 7 September 2018. 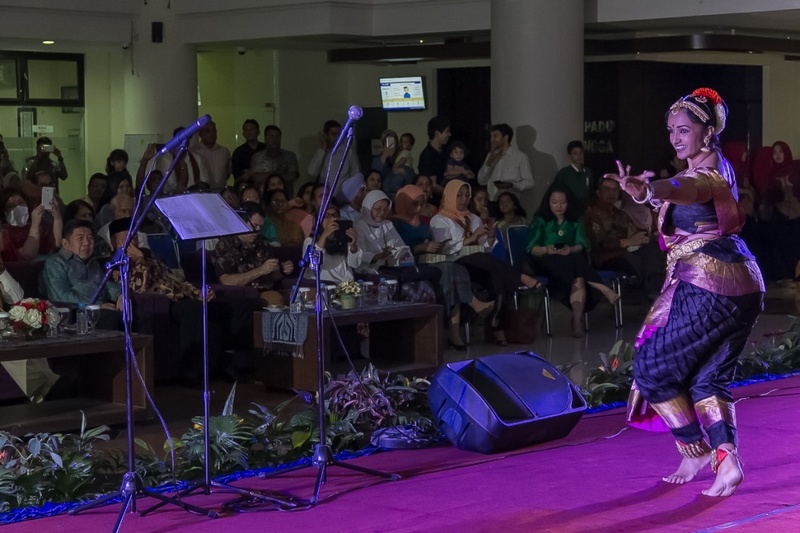 The cultural event was attended by more than 400 local residents and art lovers of Surabaya. Artists from Jawaharlal Nehru Indian Cultural Center (JNICC) put together a gala musical dance performance on Indian songs and dance, which were also attended by the East Java Provincial Government and Consular Corps. Raffle prizes of shopping vouchers were also given to lucky winners, which provided by Jet Airways. The event evoked enthusiastic response among the participants.